**Image: Hell – detail from a fresco in the medieval church of St Nicholas in Raduil, Bulgaria |Edal Anton Lefterov | Creative CommonsAttribution-Share Alike 3.0 Unportedlicense. 11 June, 2018 (RT)* –– It’s open season on Justin Trudeau in the Trump administration, with the White House trade council chief launching an attack on the Canadian PM, saying there is a “special place in hell” for anyone who double-crosses his boss. Director of the White House National Trade Council Peter Navarro preached against the Canadian Prime Minister during an interview with Fox News Sunday when asked whether US President Donald Trump’s very personal attack on Trudeau was warranted, given that Canada is the second biggest trading partner of the US. Navarro, who was introduced as the“architect”behind Trump’s plan to slap Canada, Mexico and the EU with tariffs on steel and aluminum, did not hold back his fury, turning the heat up even higher. “There’s a special place in hell for any foreign leader that engages in bad faith diplomacy with President Donald J. Trump and then tries to stab him in the back on the way out the door,”Navarro said, echoing the words of Trump’s chief economic adviser Larry Kudlow. 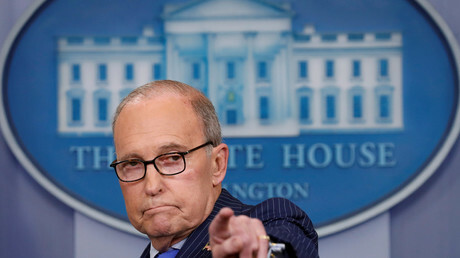 Kudlow faced a massive backlash on social media earlier on Sunday after he accused Trudeau of “stabbing the US in the back”with his promise to retaliate against US tariffs at the final presser. “That’s what weak, dishonest Justin Trudeau did,”he said, lashing out at the Canadian PM with exactly the same words Trump used on Saturday evening when he abruptly withdrew his approval for a joint statement of the G7 country leaders while he was already on his way to Singapore. 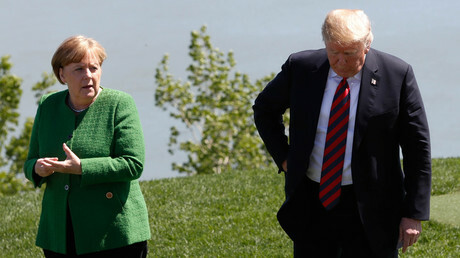 While Trump’s Twitter outburst has drawn stark criticism from other G7 members, including France and Germany, Trudeau was hailed by European Council President Donald Tusk, who tweeted there should be“a special place in heaven”for the Canadian for his impeccable host skills. Navarro argued that it’s not Trump who showed bad attitude during the summit, arriving late and leaving early, but Trudeau who is responsible for the diplomatic disaster. “All Justin Trudeau had to do was take the win. President Trump did the courtesy to Justin Trudeau to travel up to Quebec for that summit. He had other things, bigger things on his plate in Singapore,”Navarro said. But instead, as soon as Trump’s plane departed for Singapore, Trudeau “stabbed our President in the back,”Navarro said. “That will not stand,”he stressed. *SOURCE: RT. Go to ORIGINAL. **Image: Hell – detail from a fresco in the medieval church of St Nicholas in Raduil, Bulgaria |Edal Anton Lefterov | Creative CommonsAttribution-Share Alike 3.0 Unported license.